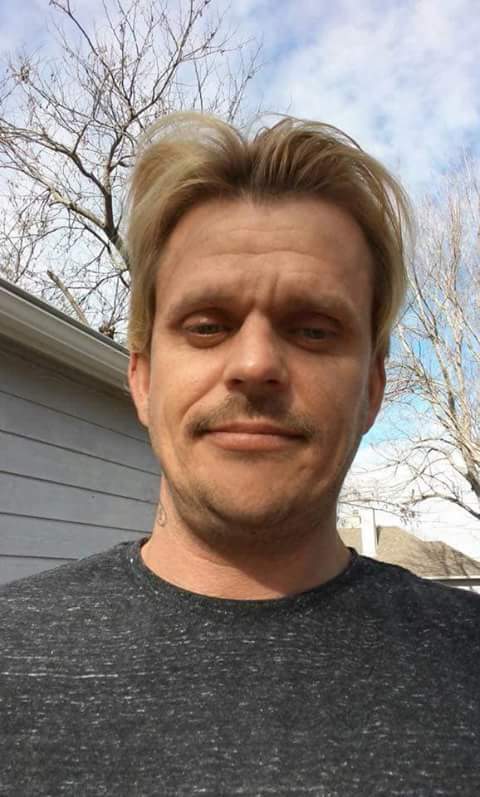 Frank Marion Hoover, age 35, passed away on September 3, 2018, in Tulsa, OK. Frank was born on February 14, 1983, in Richmond, Ca to Alan Hoover and Alicia Olavarria. Frank loved to cook and he especially loved to draw. Many of the drawings are in the hands of his loves and will be cherished forever. Olavarria, his father Alan Hoover and his Step Father Norberto Olavarria. His siblings Alan Hoover ll, Nathan Schwinn, Rebecca Hoover, Michael Hoover, Norberto A. Olavarria, his baby sister Elena Olavarria and his dog Zoey. Frank was deeply loved and will remain our hearts forever. Frank Hoover was my big brother, but he was more than just that. Frank was my best friend who was always there when I was sad, hurt, or just needed someone to talk to. He was really good at making me laugh all the time. I will miss him so much and can’t wait to be reunited with him again when Jesus comes. Frankie was an amazing, friendly, big hearted person. Nicknaming himself Joker, he loved to goof around and make everyone laugh yet he was also a deep thinker, insightful and a crazy good listener. He was creative and enjoyed making stuff with wood or any handyman stuff really. His creativity also extended to cooking delicious meals and drawing which he loved. He was giving and would give the very shirt off his back-quite literally-if he saw someone without one. When he could, he would often give thoughtful little gifts here and there too. He always felt most at home walking in nature and was always dreaming about his next adventure. He was one of the most vibrant and alive people I have ever known. Someone passionate who felt things deeply. He was one of my best friends and I will miss him terribly. Frank was my one true love. The only one I know would love me always no matter what. He and I had an amazing life and made many memories together. He helped me raise my 3 children Bradley, Brianna, And Tj. And we had 4 dogs one of which he had with him when he passed. Mason, zoeys dad, and kane, zoeys brother, also lose a wonderful man. He loved his family so much and loved his childrens mother and myself more than words can describe. I will love him forever and he takes a piece of me with him I can never get back. See you soon my love. And be at peace. ♡Forever & Ever babe. Frankie was like a uncle to me and will be missed dearly. He was a very kind hearted person. Infact one day when we where going for a walk, he saw a group of people on the streets. So he walked then into a Quick Trip and said to them”get what ever you need.” He was a amazingly funny person and cared so much about everyone. May he rest in love and peace. Oh Frank! Feels like someone kicked me in my chest and I still can’t catch my breath! Give Scottie a great big bear hug for Me! I have no doubt he was there to greet you when you entered heavens gate. You have your wings now, it’s your turn to sing with the angels! I’m going to miss you forever my friend! I would like to give my condolences to FRank’s family,friends,but especially his kids…I had the honor of meeting Frank some years back and him and my niece lived with me.He was an utter joy to meet and know as a man he completely broke the mold. One of a kind. I loved him A lot. He was good to Bambi. They were good together. I hate that he has passed. I secretly had hoped they would find their way back together…but I guess not. R.I.P.my friend Frank. It was an honor and a privilege meeting u and getting to know u.thank u so much for the precious memories u have my family. We loved you Frank. Bambi MISSES u like crazy. God definitely got one of the world’s best there with him to get a place ready for the rest of us with. God be with you my friend. My heart goes out to all the family. He will never be forgotten. Love to you all.